So this weekend was a very eventful one since my momma and pops came to visit. It never seems like enough time when they come though! There always is all these fabulous things we want to do and they always seem to never get done! Once we dropped the parentals off at the airport the house seemed way to quiet to stay home so we thought we could use a tad bit of laughing. 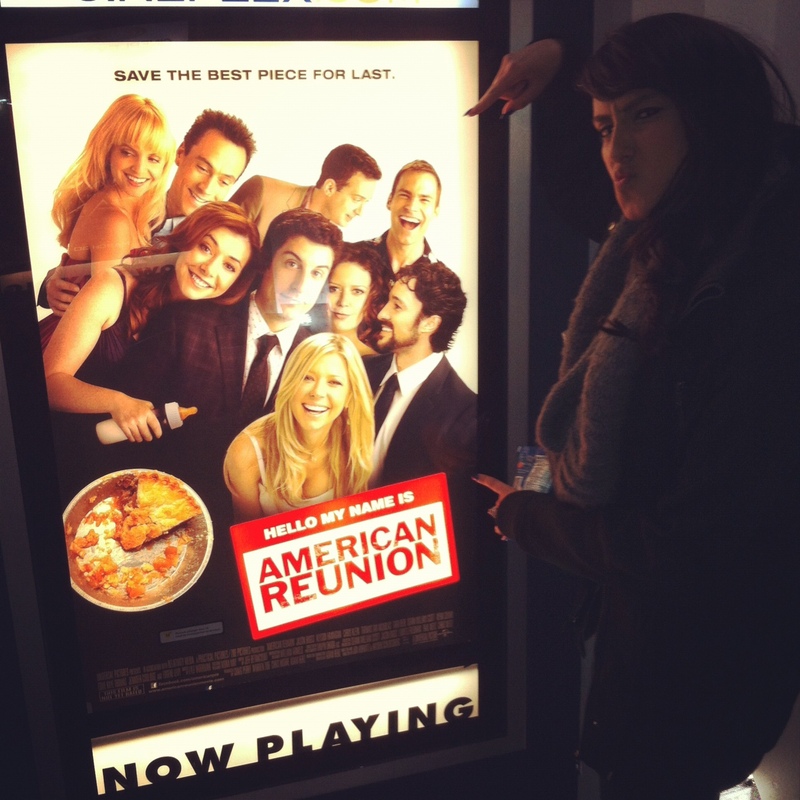 We ended up going to the long awaited American Reunion. Let me tell you, unlike other trailers/commercials, all the scenes weren’t given away before we got into the movie. Mr. Man and I were dying of laughter. This one is a must see, I would even push it as far as saying theatre worthy. Look out! You may want to bring an extra pair of under pants as their may be some laughing pee awaiting! 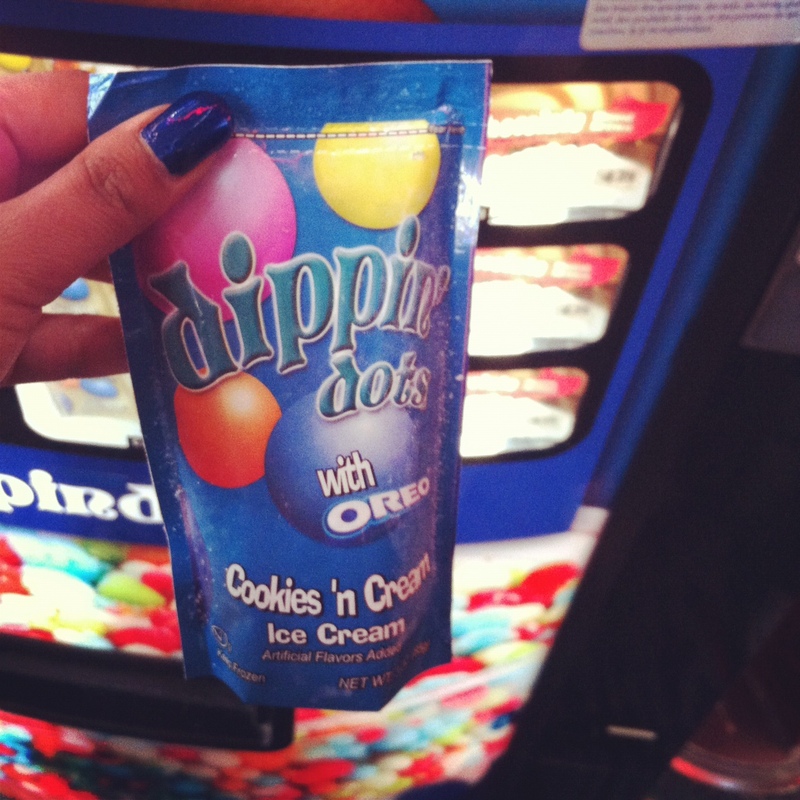 And apparently they are now serving Dippin’ Dots as well… but no cup, no spoon. For $4.25 we had freezing hands and spillage galore. Note to self, next time at least get a spoon! Previous Post Finally got them!!! 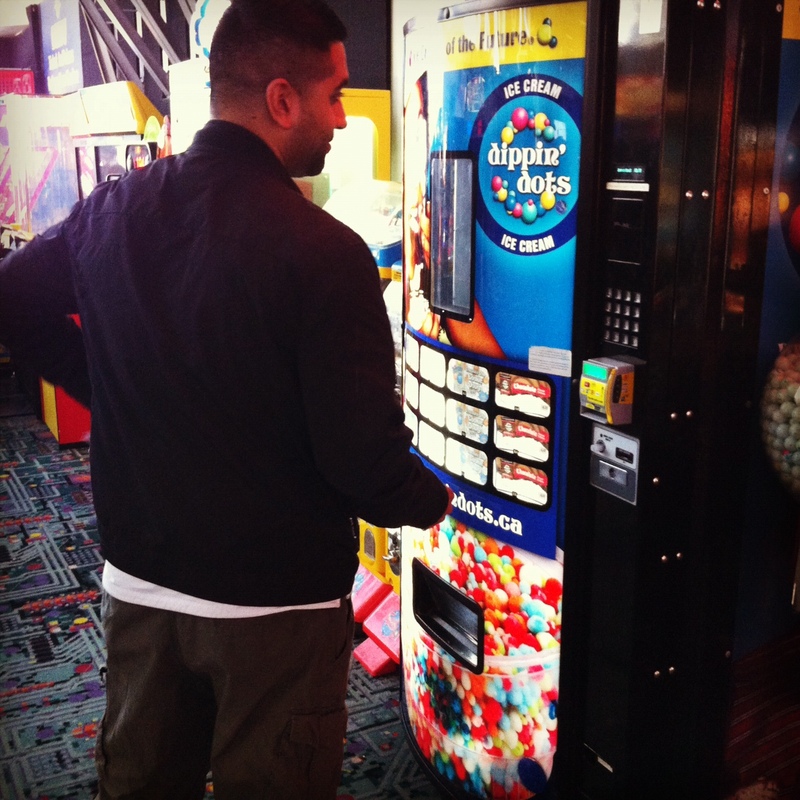 Next Post Cause if you let meeeeee….